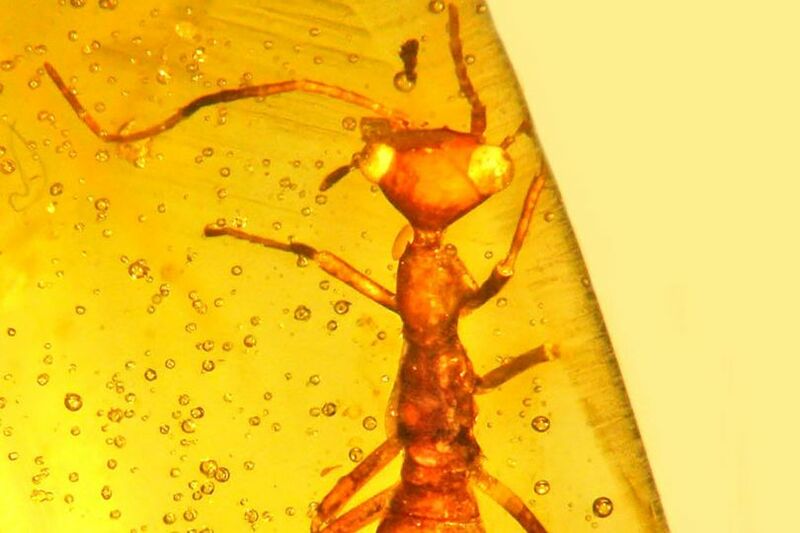 The researchers have discovered a 100-million-year-old bug species with a triangular head and 'ET-like' appearance preserved in amber in Myanmar. While there are about million described species of insects known to humanity, millions more are still to be discovered and thus far have managed to carefully fit into one of the 31 existing scientific orders. However, when George Poinar Jr, who is well known as the world’s leading expert on animal and plant life forms, found an insect that lived 100 million years ago preserved in amber and has been given its own "scientific order" while he finds it as an incredibly rare event. According to the emeritus professor of entomology at Oregon State University’s College of Sciences, this unusual insect is a small and wingless and had many features that did not match with of any other insect species he had encountered before. The most prominent features were its triangular head and strange bulging eyes that gave the female bug an “E.T.-like” look. To be clear, the triangular heads are not strange in these insects, but the vertex or the highest point of the triangle of the right triangle located at the base of the neck was unusual like other insects. The team at Oregon State University (OSU), who discovered this creature, believed that it would have given these species the ability to see almost 180 degrees by simply turning its head sideways. The neck glands appear to release some sort of substance which was most likely used to repel predators. George and his team, who published the findings in a journal Cretaceous Research in December 2016, considers that this wingless insect was an omnivore that resided in tree bark fissures and fed on worms, mites, and fungi. It has a long, narrow, flat body and slender legs, which indicate that it could move fast. The bug, categorized in a newly created order Aethiocarenodea, was named Aethiocarenusburmanicus in honor of the Hukawng Valley mines of Myanmar; which is previously known as Burma. This is where the amber was discovered, and the researchers are not sure how the arthropods became extinct, as they wonder it was most likely due to the loss of their favored habitat. 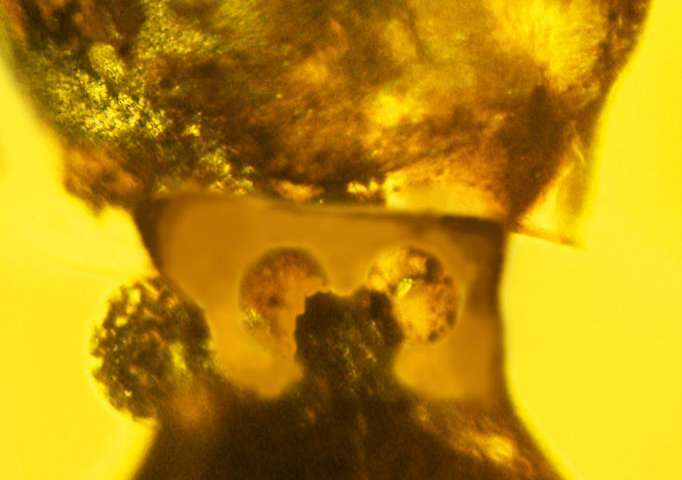 Given that scientists have been able to find just one other amber preserved with a specimen of this alien-like bug, they anticipate the scientific order to be a very elite club with just two members. In comparison to the largest order insects Coleoptera, which is made up of thousands of known beetles species. This creature is long extinct, but it is predicted that it roamed the forests of Burma around 100 million years ago.